Acupuncture is a Chinese system of healing that dates back thousands of years. It is a safe and effective treatment for many different health conditions. The core of Acupuncture theory is the idea that there is a substance in the body called Qi (pronounced chee). Qi is the vital substance that flows throughout your body. It is the building block of life and it is the momentum behind the cellular and chemical processes of the body. When there is a disruption or blockage to the flow of Qi, pain and illness can occur. When the Qi is free flowing there is health and wellness. There are two main goals of acupuncture. One goal is to eliminate disease and pain by balancing the body so it may heal itself. The other goal is to maintain optimum health by keeping the body balanced and boosting immunity. Addictions: tobacco, alcohol, food, drugs. Bone, muscle, joint & nervous system disorders: acute pain, back pain, chronic pain, sports injuries, carpal tunnel, fibromyalgia, migraines, sciatica, tennis elbow, arthritis, neck & shoulder pain. Ear, nose & throat: Bell’s palsy, tooth ache, ear ache, trigeminal neuralgia, dizziness. Emotional & Psychological disorders: anxiety, depression, insomnia, stress, seasonal affective disorder (SAD), bipolar disorder. Gastrointestinal disorders: constipation, diarrhea, GERD, IBS, stomach pain, hemorrhoids, digestion discomfort. Respiratory disorders: allergies, asthma, bronchitis, sinusitis, coughs, colds & flu. Urogenital disorders: incontinence, urinary retention of difficulty, bedwetting, nocturnal emissions, impotence. Acupuncture: Acupuncture is the insertion of fine, filiform needles into specific acupuncture points on the body. Cupping: Cupping is a type of cutaneous stimulation (similar to massage) that uses suction and glass cups. Cupping can help with muscle tension, fever, hypertension, and many other health issues. For more information please visit this link. Moxibustion: Moxibustion is a gentle heat therapy that uses an herb called mugwort to stimulate points and areas of the body. There are many types of moxibustion, such an indirect, direct, warming needle, and stick-on. 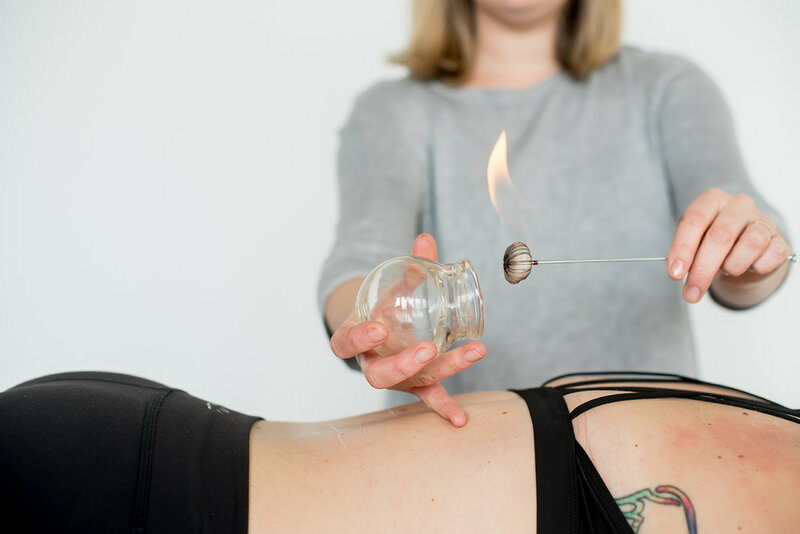 Moxibustion can help to regulate digestion, boost the immune system, alleviate pain, increase circulation, and calm the mind. Gua Sha: Gua Sha is a type of cutaneous stimulation that uses a tool and a “scraping” technique to treat issues such as pain, tension, inflammation, and more. Dietary Therapy: Dietary recommendations based on the understanding of the energetic of foods as describe in Traditional Chinese Medicine (TCM). Our acupuncturist will often give dietary advice based on the patients TCM pattern. 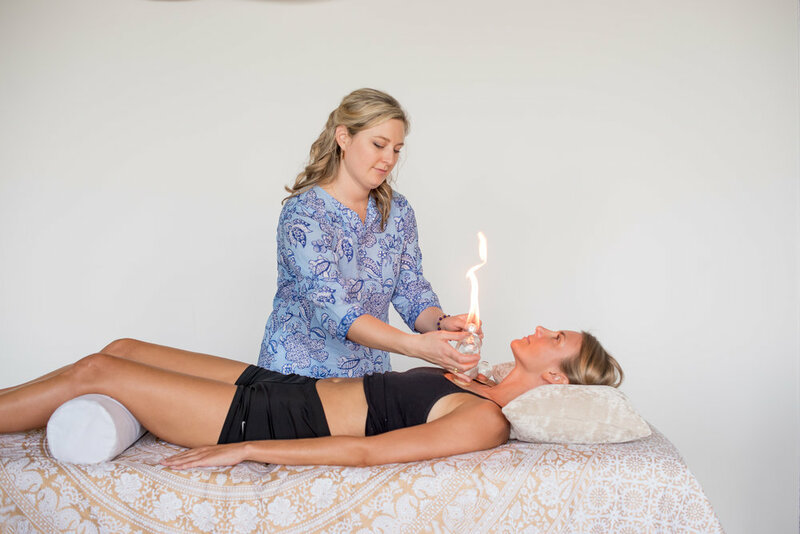 Aroma Acupoint Therapy™: Aroma Acupoint Therapy™, or AAT™ is a gentle, safe, and yet profoundly effective treatment modality that utilizes the application of essential oils on acupuncture points or areas of the body. This treatment is a great addition to any regular treatments and also a great alternative for children, adolescences, and/or patients who are fearful of needles. The high-quality, organic, substantially-source essential oils that are used in the treatments are available for purchase at our clinic. For more information please visit this link. Tui Na: Tui Na is a type of massage/bodywork that applies pressure to different areas of the body using specific techniques. For more information visit this link.